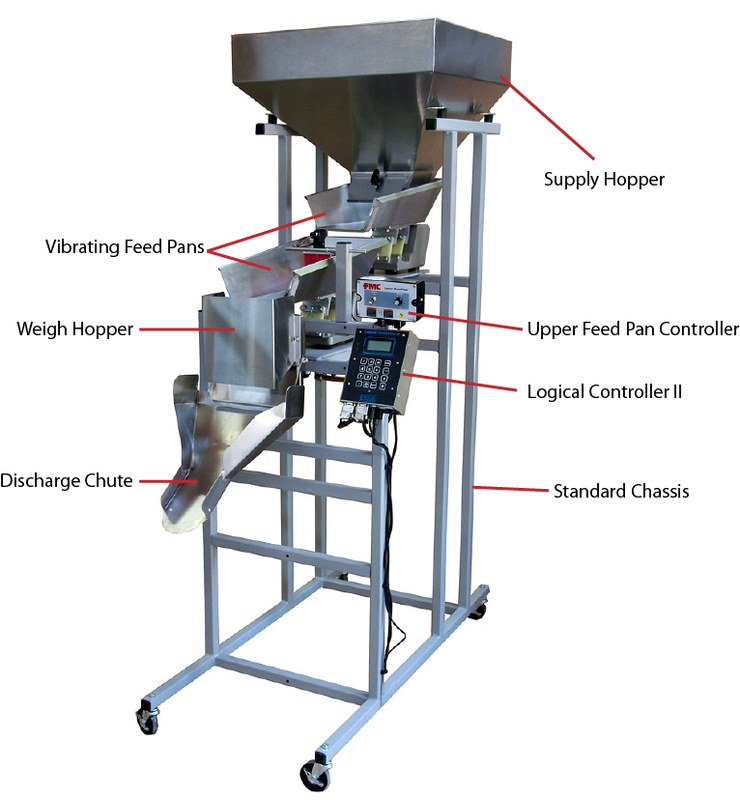 The model S-6 cascading scale system is designed to fill harder to run products such as crackers, chips and other non-free-flowing or irregularly shaped products. A very accurate and easy to use control system monitors the product depth in the lower pan allowing for consistent filling. The S-6 utilizes many of the same systems found on our S-4, including the Logical Controller II, for reliable, hassle free operation. Scale Total Weight: 240 lbs. $9,950.00 Standard S-6, F.O.B. Charlotte, VT 05445 — Get an instant online quote using our Quote Generator! The S-6 typically requires a one month lead time.